Are you eager to use the trial copy of Windows 10 - the operating system from Microsoft that is due launch soon? There are loads of new features and functionality that the new operating system is bringing in. However, there's one thing that Windows 10 still won't help you do, and that's rip DVDs in Windows 10. This might not seem like a must-have feature, but it is. More and more of us are watching movies or TV on a smartphone or tablet or streaming them from networked drives and media servers. The devices we're using don't have DVD drives or any way of playing DVDs. With Media Centre gone, Windows 10 has no built-in DVD playback features. We may have extensive DVD collections, but no easy way of getting that content into a format we can enjoy. In this one respect, Windows 10 leaves us wanting. To be honest, free DVD ripping software is preferred choice to convert DVDs, for example the famed HandBrake skilled at DVD to MP4/MKV/Apple/Android conversion on multi-platforms. Despite of how many users thumb up HandBrake, I should remind you to notice that HandBrake is not available to rip copy-protected DVDs and various HandBrake not working errors may bother you. Fortunately, there is another great solution at hand: EaseFab DVD Ripper. The easy-to-use yet professional DVD ripping software has been updated to support Windows 10. 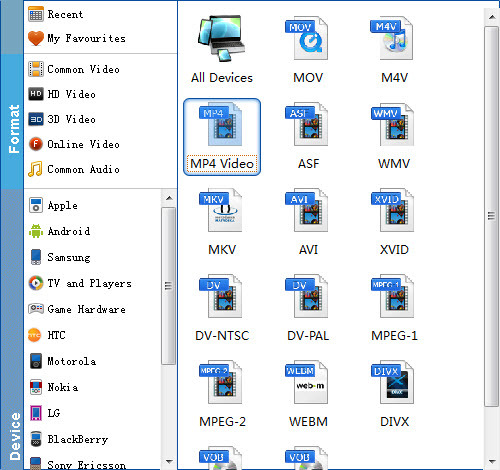 Running on both the 32-bit and 64-bit versions, along with Windows Vista, Windows 7 and Windows 8, Windows 8.1, it enables users to rip any DVD disc - even those that have been region-locked or copy-protected - and convert the files for use on a huge range of smartphones, tablets, media players and smart TVs. It can handle all the most recent encryption technologies, including DVD CSS, RCE, Sony ArccOS and Disney X-Project DRM, and it's updated continuously to handle any new protection schemes. Don't hesitate to get it now and follow the easy steps below to make your DVDs playable anywhere in Windows 10. PS: If you're using a Mac, you can turn to EaseFab DVD Ripper for Mac, which has the same function as the Windows version. If you want to rip both DVD and Blu-ray in Windows 10, you can turn to EaseFab LosslessCopy (available for Windows and Mac users) for help. Next, click Profile and you'll see the format list below. Simply select one you prefer as the output format. Then click the Browse button beside Find Target to set a destination folder to save the converted videos. Tip: The Windows 10 DVD Ripper offers various output formats for different purposes. If you want to convert DVD to play with Windows Media Player, WMV format should be the best output option. If you want to transfer DVD movies to play on iPhone or iPad, there are also optimized presets for them. If you are fond of watching DVD movies on PSP, Xbox or some other game devices, then you can choose the corresponding model of your devices as the target format. Just remember that the output choices are not limited to one kind. When everything is done, click Start to begin ripping your DVD movie in Windows 10 and let the software do the rest for you. When the conversion completes, click "Open Folder" to get the ripped videos and play them anywhere you like.